I've been in love with the Temeraire series, so in love that I wished it has a complete and uniform hardcover editions. Through the years the publisher, the cover, typeset and everything else varied once the fourth or fifth book in the series came out. Now with the inevitable release of the ninth and final book in the series, the cover of League of Dragons has once again evolved -- for the better. Naomi Novik just revealed the new cover on her social media gateway and it is nothing short of stunning. Recently the author fortified her writing palette with the release of her fairy tale, Uprooted. If this is any indication of how she has improved through the years (she just keeps getting better and better) then I'd still complete the aforementioned series despite the OCD triggering variations in the hardcovers! 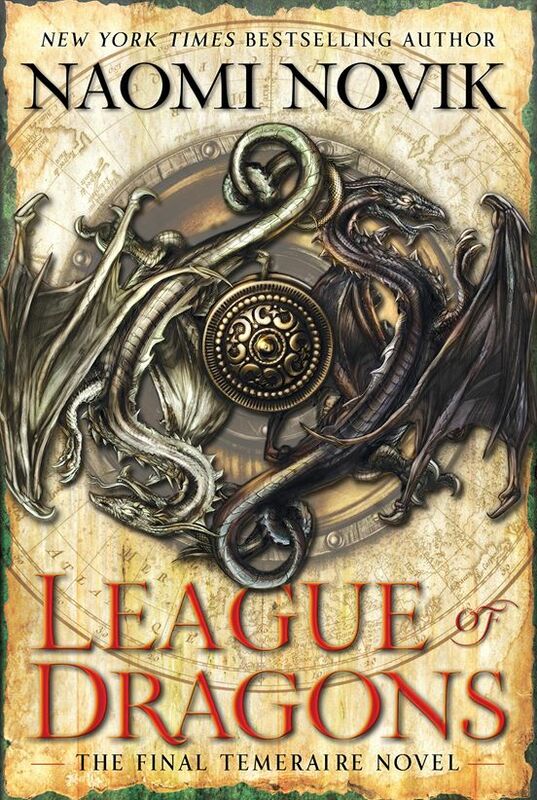 Check out the US edition cover of League of Dragons by Naomi Novik. There is no official synopsis and release date yet. Although I have to drop this piece of info: Amazon has listed a May 19, 2016 release for it. Crossing my fingers for that. Stay tuned for more information.